When it comes to food, Malaysians are truly united; despite being diverse and multi cultured. Mamaks should be given national recognition as it's the only place where you'll find the Malays. Chinese, Indians and other races eating at the same place (Halal place of course)! 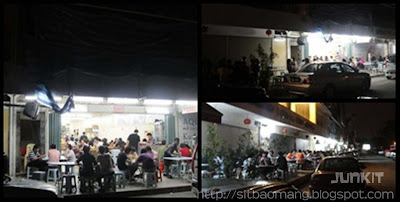 Also, Malaysians are very brave as they do not mind in risking their health/life by eating at parking lot with table and accompanied by hidden rats/cockroaches on street! Good food rules! Lol. Well, Murni; which is located in SS2, Petaling Jaya is different from other normal typical mamaks. From what I've heard, the owners are of Baba Nyonya heritage; rather than mamaks (Indian Muslims). 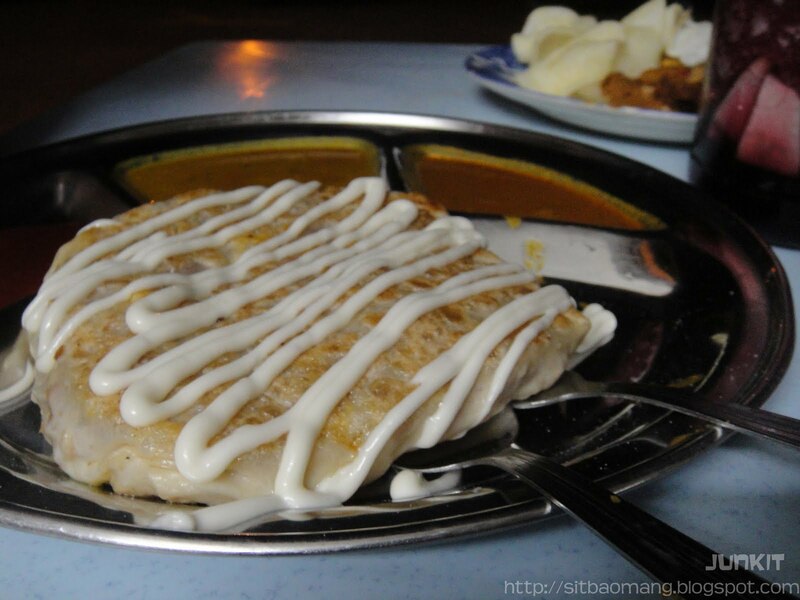 The foods are varied and are very much more special while retaining the normal mamak foods if compared to typical mamak stores. Honestly said, I've tasted a few food items from there; and most of it are very tasty! Albeit more expensive if compared, the food quantity and quality made up for it. All the tables are packed together in the restaurant and other shop's hallway. Heard the restaurant was in trouble previously as they placed their table on the parking lots outside. Previously the amount of tables and chair reached till 3 rows of shop lots and parking lots; all filled with people. Imagine the brisk business! Ribena special. 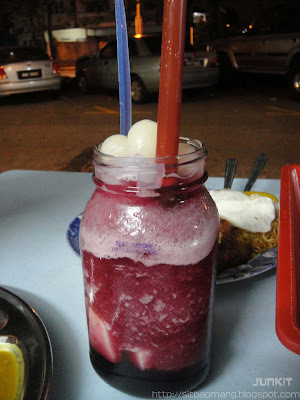 We shared this large cup of ice blended 'gao' ice blended Ribena. Comes with loads of nate de coco, lychees and honeydew. Refreshing! 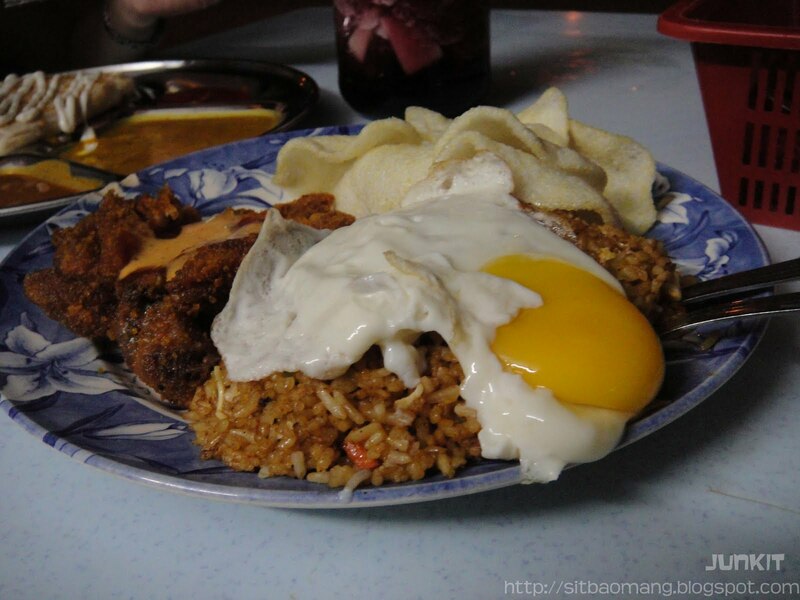 For a very late unhealthy rare supper, I had this Nasi Goreng Maryland. Sinful yet so tasty! Basically it's their fried rice with fried chicken chop topped with a sunny side up egg. I especially like their fragrant fried rice but will be much better if they add in more chili padi! Personal preference. Comes with prawn/fish crackers at the side. What did I say about multi cultured? West cuisine meets east. Roti Hawaii. Interpreted roti with hamburger meat, sausages, eggs and pineapples filling topped with mayonnaise. Guessed the pineapple gave the name Hawaii to the roti. The total bill came up to around RM20 for 2 food items and 1 drink. Very satisfying and fulfilling supper! Address : Jalan SS2/75, Petaling Jaya. By the way, Murni's had just opened up their 2nd branch called Murni Discovery. The address: Jalan PJU 1/3B, Sunway Mas Commercial Centre, Petaling Jaya, Selangor. The other branch of Murni Discovery at: 39-41, Jalan USJ9/5P, Subang Business Centre.